With TripleHelix®, Assured Enterprises built the most comprehensive risk assessment system available, which gives organizations the capability to quantify and measure progress in their cybersecurity programs. TripleHelix® delivers a roadmap of improvements, a unique CyberScore® and virtually any desired regulatory, compliance or best practices report— including GDPR—automatically into a Regulatory Compliance Dossier. 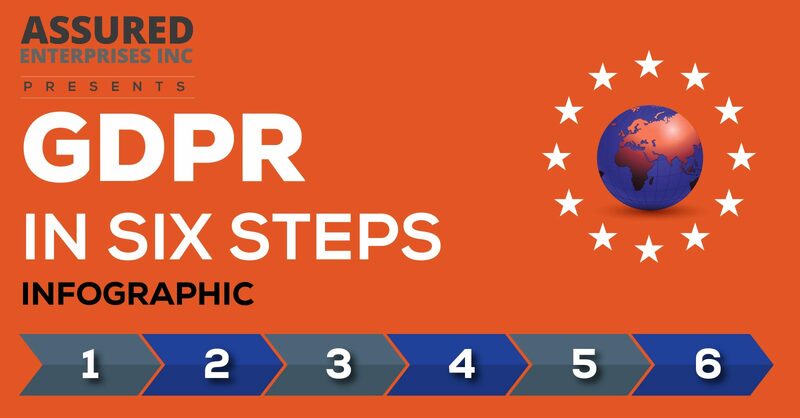 Illustrates the GDPR in Six Steps and reveals the secret weapon to assure success. Click on the image to view entire infographic. We want to hear about your GDPR needs.